but for practice by groups and communities and nations. It is a truism that the 20th century was the bloodiest in human history. It is, however, also true that the 20th century has given us a remarkable number of examples of masses of people demanding, and frequently getting, greater freedom and relief from tyranny through nonviolent means. 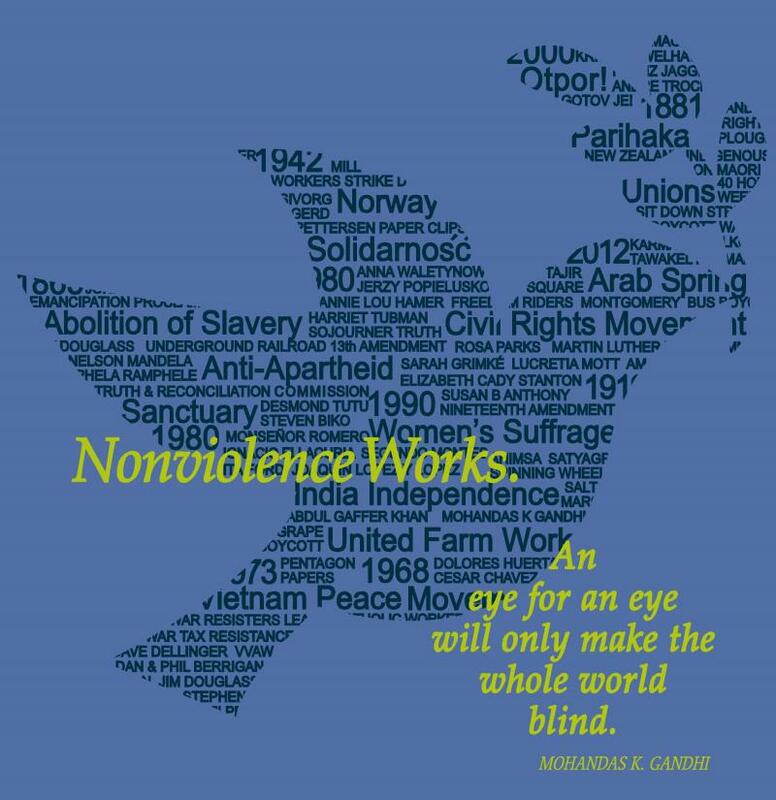 We may be living in the most violent time on Earth, but we are also witnessing the upwelling of the power of nonviolence. 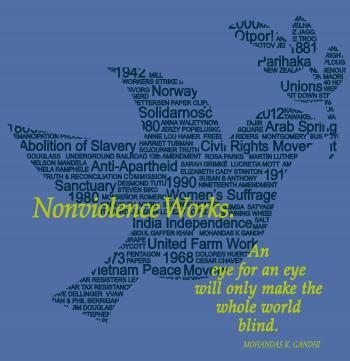 Though nonviolence is risky, violence is far riskier; fewer people are killed or injured in nonviolent liberation struggles than through any other path. Moreover, it is far easier to achieve a society that embraces justice and peace if we work toward it with means that embrace justice and peace. Proudly printed in our Colorado Springs workshop on preshrunk, 100% cotton, short sleeve t-shirt.